Cooking is not a contest, but this salsa wins awards. Featuring ginger, fresh cilantro and orange, this mango salsa adds a sweet yet tangy flavor to grilled swordfish. Tequila makes a surprise guest appearance in the OLD BAY and lime-seasoned marinade. 1. To make the marinade, mix olive oil, OLD BAY Seasoning, lime juice, tequila and two tablespoons of cilantro in a small bowl. Place swordfish in large resealable plastic bag and add marinade. Turn to coat. 2. Marinate in the refrigerator for at least 30 minutes. 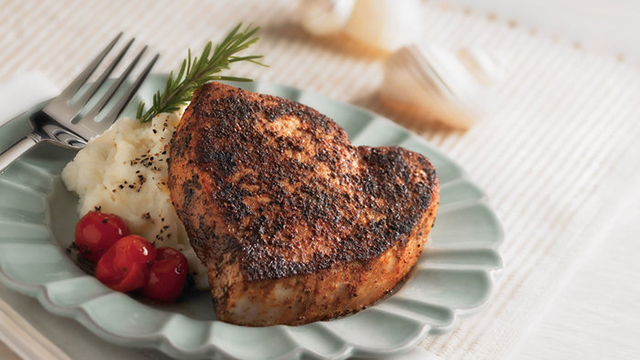 The longer you allow the swordfish to marinate, the more flavor your fish will absorb. 3. To make the salsa, mix the mango, orange peel, oranges, green onion, 1 teaspoon cilantro, ginger and jalapeño in a medium bowl. Set aside. 4. Transfer fish to grill and discard leftover marinade. Grill over hot coals using Applewood or mesquite chips and cook 5 minutes per side, or until fish flakes easily with a fork. Serve with mango salsa. For more recipes using OLD BAY seasonings,click here.